Caribbean snorkeling is one of the most attractive water sports and the preferred one for all of those who cannot scuba dive, or those that haven’t dared to try it yet. In fact, snorkeling in the Caribbean does not require much physical effort, knowledge, nor gear. 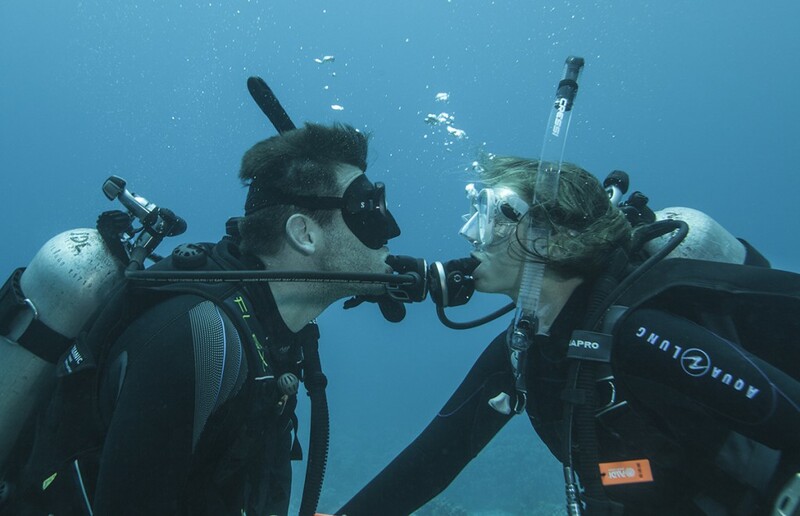 All you need is a pair of fins, underwater glasses and a breathing tube. Then, you will be able to start exploring the sea from the surface. But, “where?” You are probably asking yourself. Go on reading and you will discover some of the best Caribbean Snorkeling spots. We tell you about the most astounding excursions to enjoy this sport to the maximum. Caribbean Snorkeling: Three Unforgettable Mexican Excursions. Only from early June to Mid-September, you will be able to enjoy snorkeling with the largest fish in the world: The whale sharks. We are talking about the adventure of a lifetime, at least, that is what our guests told us. The imminent season is about to start. So, book your excursion online and get a 20% prepayment discount. Click here for more information about our whale shark excursion. Mayan Snorkel Tour is the name of the trip which will give you the possibility to visit three different cenotes. You will be able to practice snorkel in two of them. It really means a unique opportunity to swim among the stalactites and stalagmites of these authentic underwater cathedrals. On the other hand, the third one, which is dry, serves to illustrate live the explanation of these caves their formation and history. 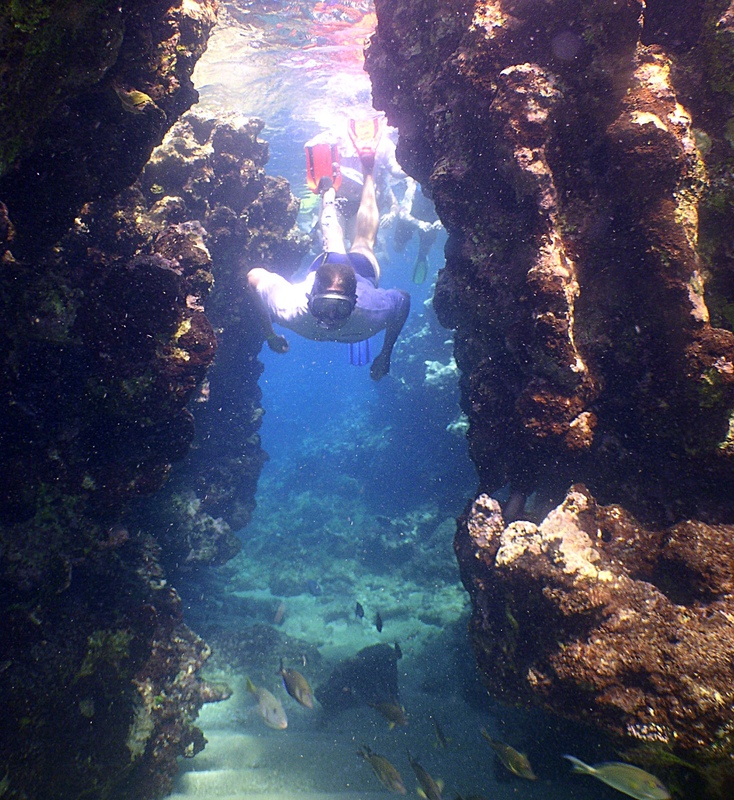 If you chose snorkeling in Cozumel you will feel as if you were inside a Jacques Cousteau’s documentary. Please notice that we are talking about of the second greatest coral reef system in the world. Probably Colombia Reef and, of course, Palancar reef are the most amazing snorkeling and scuba diving spots on the island. 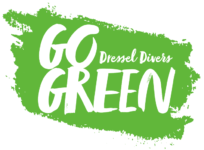 And there is where you will be able to enjoy the most spectacular Caribbean snorkeling experience, booking with Dressel Divers. You will see colorful fish, amazing turtles and breathtaking stingrays, among other beautiful sea life. In addition, you will count with the guidance of an expert multilingual snorkel guide. Two Caribbean Snorkeling Experiences In Jamaica Which Are Well Worth a Visit. Mother Nature in all its splendor is waiting for you in the Jamaican Mangroves. For that reason, this excursion is one of the more demanded by visitors. The truth is that mangroves provide habitats, breeding and feeding grounds for both, terrestrial and marine animals with its rich aquatic ecosystem. Therefore, is recommendable to enter this pristine place using a Kayak. Ideal for children and adults, this Caribbean snorkeling experience is educational, fun and great to reinforce the importance of mangroves to ocean ecology. If you are staying at the Montego Bay, then you should seriously consider to practice snorkel in its Marine Park. Montego Bay Marine Park was created on 5 June 1992. Since then, it allows for recreational activities to be conducted in a safe environment. As you can imagine, this ideal habitat for fauna and flora offers one of the best snorkeling opportunities on the island. Our Montego Bay Marine Park Excursion proposes you to swim with endemic species of fish, like snapper, parrot, jack, squirrel, barracuda, trumpet, doctor, angel, snook, crabs, nurse sharks, conch, lobster and octopus. Two Wonderful Dominican Islands With Two Unforgettable Caribbean Snorkeling Adventures. Since Christopher Columbus fell in love with this Island to nowadays, Santa Catalina Island goes on fascinating people from around the world. 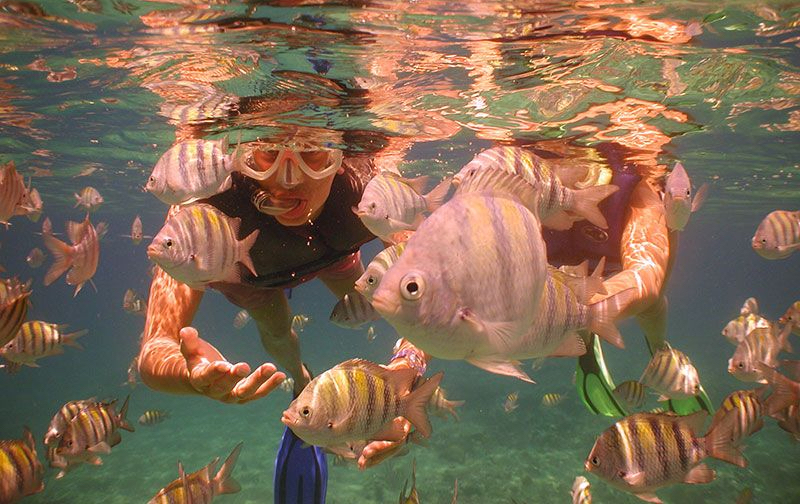 Here, snorkelers and scuba divers get a close up and personal experience with fish and beautiful marine life. In addition, in Santa Catalina the rocks form a natural cliff of approximately 500 meters that stretches out into the Caribbean Sea and at the waterline the sea has eroded these rocks in such a way that you can snorkel underneath the edges. Definitively, if you want to visit one of the best Caribbean snorkeling spots in the Dominican Republic, our Catalina Island tour will be an accurate option. Paradise on Earth exists and it is divided into small pieces, scattered around the planet. Saona Island is one of them. This island is in the “Parque Nacional del Este”, Dominican Republic. Snorkeling in its shallow waters, you will be able to appreciate its amazing reefs and astonishing marine life. We cannot forget that there, you will be able to find dolphins and turtles. Finally, to celebrate such an incredible day, you will have the opportunity to enjoy the sights walking and bathing in a waist deep natural lagoon with a Piña Colada in your hand. Other Caribbean Snorkeling spots you should consider. Stingray City is one of the most famous attraction of the Cayman Islands. This sandbar is the home where a lot of rays live in their natural habitat near the shore. 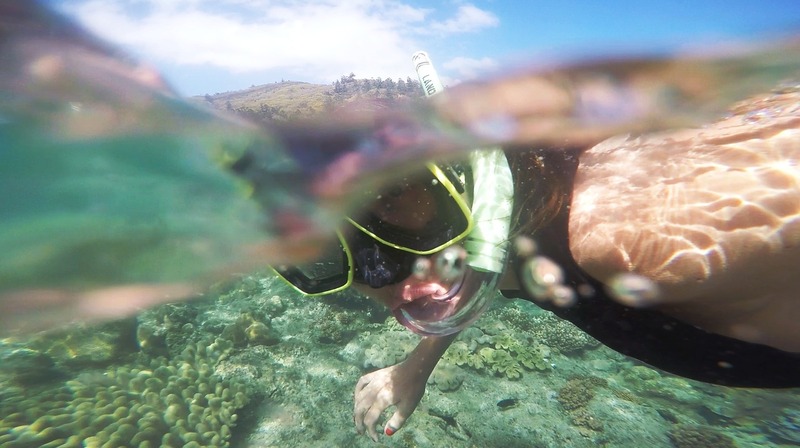 It depends on the day of the week and the season, there will be more or less snorkelers. So, if you prefer to have all the stingrays for you alone, the best option is to get there very early in the morning. The best places to practice snorkeling in Panamá are in Bocas Del Toro. Specifically in Almirante Bay. This Caribbean island is beautiful above the water and amazing under the sea. In addition in this bay, the coral reefs are more protected, the waters are crystal clear and there are no waves. One of this island’s greatest appeals in that you will be able to bath with a lot of different species of starfish. 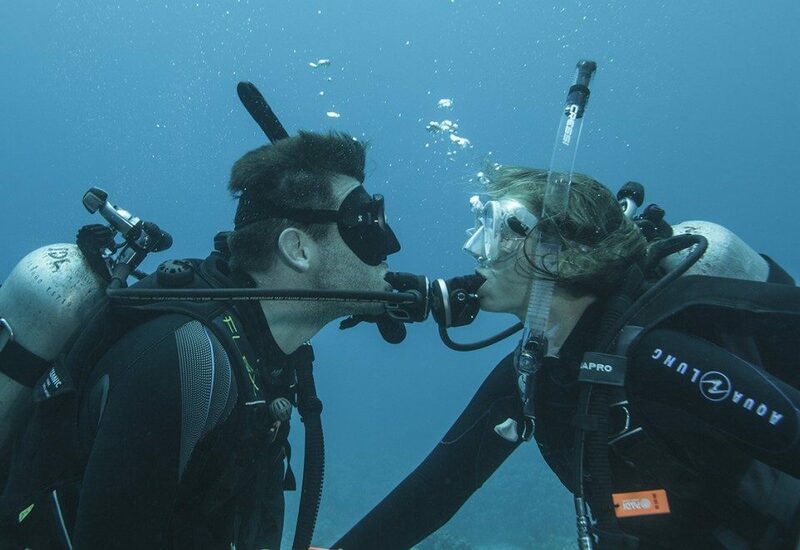 They will be the real protagonists of this Caribbean Snorkeling trip. This is our top ten Caribbean snorkeling excursions list, but we know there are many marvelous places where to enjoy this sport. Which are your preferred ones? Feel free to share your comments below. Would you like to book your Caribbean Snorkeling Excursion? Fill the contact form below and we will contact you asap.